Most people would not expect a story about a tree to be so captivating–but then again one would not expect such a small tree to withstand so many catastrophes. 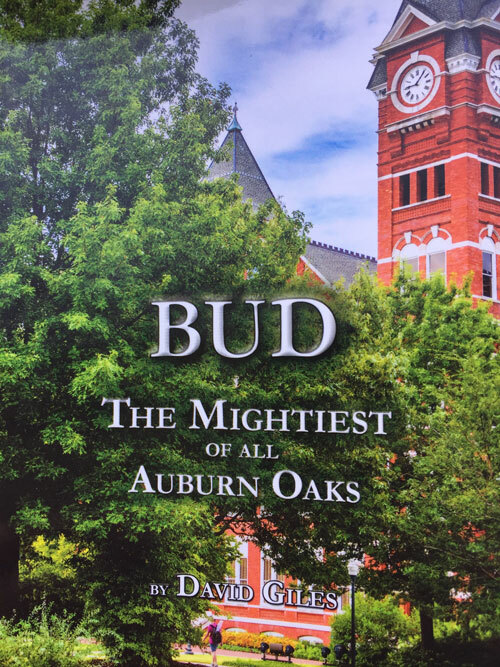 David and Teresa Giles are trying to spread the story of BUD The Mightiest of All Auburn Oaks to the entire Auburn family and anyone else that’s interested. 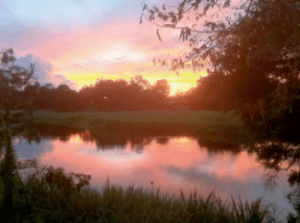 The story is about Bud, an Auburn Oak tree that grows in their backyard by the Choupique Bayou and how it has survived threats that would’ve ended the life of a younger, frailer tree. However, this tree has proved be equally as strong as the Auburn spirit. Making comebacks is a part of Bud’s lifestyle. 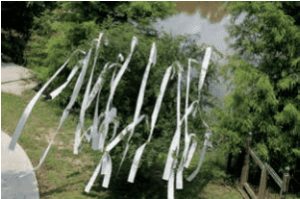 From hurricanes, to decapitations, to even being run over by the van of an Alabama fan, the 15-feet tree has survived it all and more. This couple has represented the orange and blue for many years. They met at the Blocked Punt Lounge (now 1716) in Auburn in 1975. Teresa bought David an Auburn Oak seedling on Christmas that year, made possible through the Auburn Forestry program. Auburn has been a family school for Teresa; her father and uncle “Bud” both attended the university. 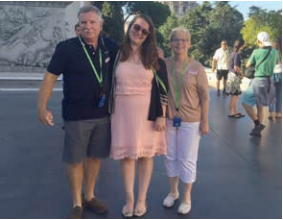 She transferred there after completing two years at Washington State University. For David, although all of his brothers went to UGA, he also had some family ties at Auburn. He is the distantly removed cousin of Roy. B Sewell, who first commissioned the Auburn fight song. The book is available through the Auburn University bookstore, Mascot Books, Amazon and other major online retailers. For David, although all of his brothers went to UGA, he also had some family ties at Auburn. He is the distantly removed cousin of Roy. B Sewell, who first commissioned the Auburn fight song. The die-hard Auburn couple will be signing books at the Auburn University bookstore for the opening game against Georgia Southern on September 2, 2017. As much as the Auburn couple doesn’t mind making the trip to the Plains, they are considering moving back to the area, probably around Lake Martin. For now, they live in Carlyss, Louisiana surrounded by LSU fans. Giles said they are thinking about moving back after their daughter Maggie, graduates from LSU. If this is the case, then they will donate the tree to the Auburn. The book is available at the Auburn University bookstore, Mascot Books, Amazon and other major online retailers. To top it off, 100% of the profits from this book go to the Auburn Oaks Dean’s Endowed Fund for Excellence in the School of Forestry and Wildlife Sciences.